If you’re not in the know, this pilot housing project was pitched in 2012 as an affordable housing solution for single middle-income earners. At the time, city officials stated the pint-sized abodes, which range in size from 260 to 360 square feet would rent for less than $2,000. That’s below market rate for the building’s Kips Bay neighborhood. Well now it’s official, only 14 studios in the 55 unit building will truly be affordable, and you need to earn less than $48,350 per month to qualify. There’s no word yet on what the unsubsidized apartments will cost per month. City Realty, My Micro NY's management company, will release additional rental information when construction on the project wraps around early 2016. Am I irked that only 14 apartments will be affordable housing? Fo sho. In 2013, I read an article by Stephen Jacob Smith at the Observer.com, who questioned the affordability of these micro units. At the time, he reported that 60% of the apartments will be leased at market rate and that 40% will be affordable housing. So what the heck happened to the other 26 affordable apartments? Here’s the deal, even though this building was built in partnership with local government as an affordable housing solution for middle-class New Yorkers, the developer gets to set rental prices. Smith also reported that the city sold the plot where this building stands to its developer for $500,000 -- A bargain basement price when you consider that the median cost for a home in NYC is $1,196,500. 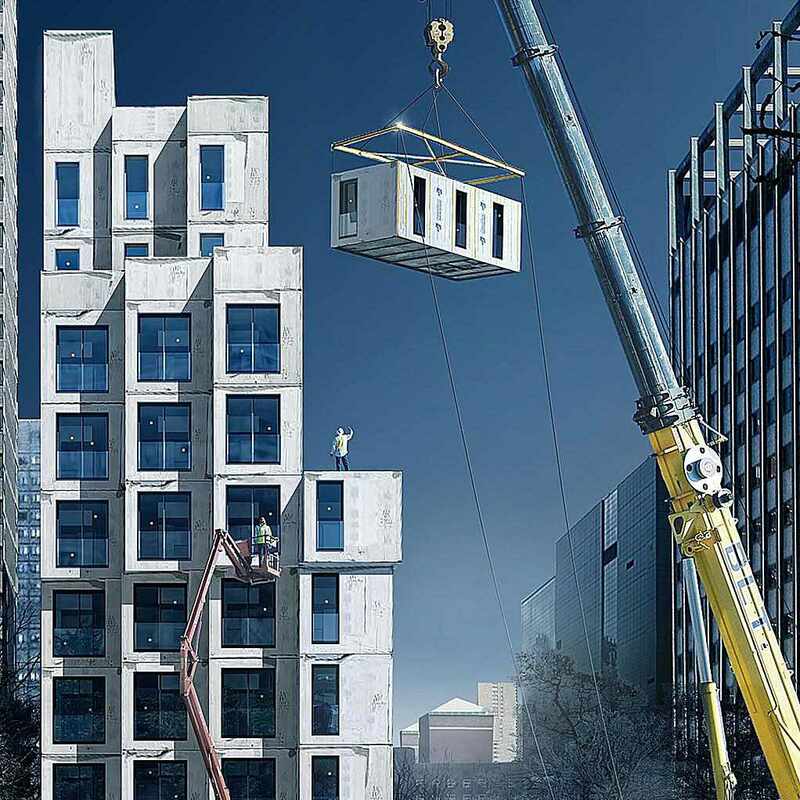 Smith also reported that the firm that came up with My Micro NY’s design is using the latest modular building technologies to lower construction costs. Like most new housing currently be constructed in NYC, this one will be receiving a 10 to 15-year tax exemption from property taxes. The former Hizzoner, Mayor Bloomberg waived zoning regulations this one time for My Micro NY to see if micro-apartments could be an affordable housing solution for NYC. Currently, new apartments can’t be smaller than 400 square feet. These pint-sized dwellings aren’t significantly cheaper than apartments twice their size, though. Just like the tiny house movement, downsizing into a micro-apartment should allow you to live comfortably within your means while being able to maintain a savings account. As long as local officials allow real estate developers to determine what people can afford what's the point of having micro housing here? To pack more people into buildings like sardines so developers can profit?